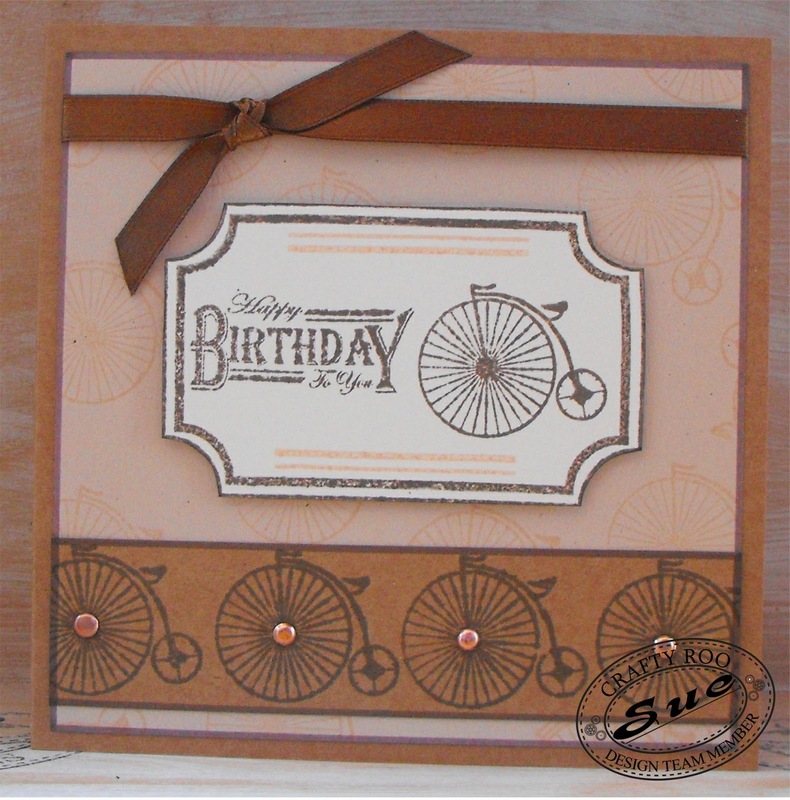 Here is the first card to share with you that Sue has created for this months Monthly Make. Its really simple to make but so useful for blokes birthdays! 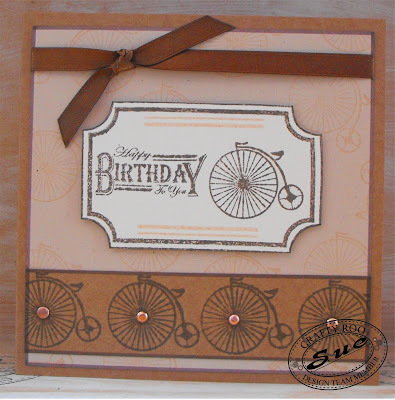 I think I may give this one a whirl later this week as it's my father-in-laws birthday! I hadn't forgot honest! I just didn't realise October was running away so fast!